Today I'm visiting another blog: Laurel's Leaves, where I discuss writing male characters. Samples: "I thought of myself as a person and my characters as people, without dwelling much on which of us were male or female. ..." and "...not all guys are alike, so don’t assume that any one person can speak for a whole gender ..." Feel free to stop by there and check it out! In other news, March 26 - April 1 will be chock full of events for YA readers in New York. Check out the NYC Teen Author Festival Facebook page. I'd be happy to see you at either of my events (the panel at the library on March 31 at 2:50, or the Books of Wonder signing on April 1 at 1:45), but there are dozens of great authors doing events all week, culminating in a "No-Foolin' Mega-Signing" on April Fool's Day! A typical way to handle romantic storylines is to make the couple's getting together the goal, and the obstacles throughout the story are designed to frustrate that goal. When the couple gets together, the story's over. Many fairy tales work this way, complete with the line, "And they lived happily ever after." But real-life romances don't work that way. And it can be nice to find stories where characters discover that just getting together doesn't magically solve all their problems, where they work through the issues of couplehood. This is more often seen as a storyline for adult books rather than YA, and certainly adults are more likely to be dealing with long-term romances. However, romances in the teen years are no less real and no less emotional. During these years, people are learning how to be in relationships, how to balance their own needs and the other person's, how much common ground is enough to sustain a relationship, what the deal-breakers are, etc. And there's plenty of story material in all of that. Today, I woke up with one goal: get out into the woods. While I take a walk every day, I haven't hiked in the woods for a while. And this was the perfect day to do so: cool and cloudy gray. My husband and I met only a couple of other people on the trail. I had no writing epiphanies. I wasn't mulling over a plotline or how to further develop a character. Often, I do those things while I walk, but today was more about refilling the well. Exercising the body and resting the mind. Hope your weekend is beginning well also! There's something fascinating, in a scary way, about plagues and epidemics--perhaps because we know how vulnerable we are. A plague is the kind of disaster that can't be fought off with guns and explosions, but with brains and research, with vision and commitment. If you have any interest in nonfiction on this topic, I highly recommend Randy Shilts's And the Band Played On. It's the story of AIDS and HIV: of the people who lived and died and lost, of communities that were devastated, of researchers who struggled to understand this mysterious new disease and then to try to cure it, of public health professionals who tried to prevent it, of politicians who controlled funding and government response. It starts with individual cases, then grows to cover a web of interconnected cases, and ultimately deals with the machinery of a global society. I've been thinking about this because I just finished reading Megan Crewe's novel about a mysterious plague, The Way We Fall. 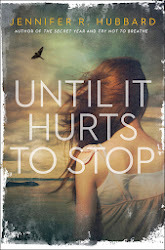 Teenager Kaelyn starts out the novel trying to improve herself and cope with the loss of a friendship, but it isn't long before she and her town are dealing with a bigger, more urgent matter: a strange new illness that turns out to be fatal in almost all cases. The diary format and the character's change from personal interests to the sacrifices triggered by a life-or-death situation, along with the slow but steady increase in tension and the inexorable raising of the stakes, reminded me of Susan Beth Pfeffer's riveting Life As We Knew It. The Way We Fall has the benefit of being both plot- and character-driven. It was a pleasure and a relief to encounter protagonists who are smart, who don't do inexplicably stupid things just to force a plot twist (a peeve of mine). Which isn't to say they always do the right thing, but that their behavior makes sense. Despite the inevitable sadness (you know some characters are going to die in a plague novel), there are bright spots and triumph as well. Although this is the first book of a trilogy and certain questions remain at the end of the book, the story ends at a satisfying place. 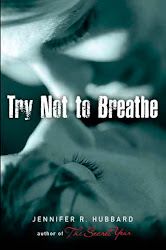 My latest novel, Try Not to Breathe, is about a boy recovering from a suicide attempt. The main character also befriends a girl who is seeking answers about her father’s suicide. While I certainly tried to make the book as realistic as possible, it is still a novel, and I’m glad to have the opportunity to discuss a nonfiction resource about the topic of suicide. Upon hearing about my novel, Eric Marcus kindly offered me a copy of his nonfiction book Why Suicide? : Questions & Answers About Suicide, Suicide Prevention, and Coping with the Suicide of Someone You Know. The book’s approach is described by the author in the introduction: “I don’t pretend to be an expert on the subject of suicide. And I’m not a psychologist, psychiatrist, or social worker. I’m a journalist by training.” True to that journalistic method, the book provides facts and statistics, mixed with a wealth of interview quotes from individuals who have experienced the suicide of a loved one. Eric Marcus is also candid about the incident in his own life that sparked his original interest in this topic: the suicide of his father. Why Suicide? opens with chapters that cover a wide range of basic data. These are followed by chapters that focus on topics such as teen and youth suicide; suicide among the elderly; and suicide prevention. The appendix contains suicide-prevention resources. The book, formatted in Q&A fashion, was initially intended to be, in the author’s words, “the kind of book that would have enabled my family to help me cope with the circumstances of my father’s death” and “a broad resource for anyone whose life has been touched by suicide.” I find that, in addition, it can serve as a general resource for writers or readers who seek both hard numbers and personal stories. The book honors the fact that there is no single true story of suicide, no one way to deal with it. It also offers hope. One additional resource: The National Suicide Prevention Lifeline is at 1-800-273-TALK. Can this character be saved? So Karen Healey posted about writer-hate as it is found on the internet, especially with respect to the gender of the authors in question, which led to all kinds of interesting discussion. But what I want to post about today is not really continuing that conversation, so much as it is looking at one interesting nugget Karen's research turned up, and taking that off on a tangent. She found several instances of people hating on writers for killing off or punishing their favorite characters (including having their favorite characters not chosen in a love triangle), or for just generally making them cry. And while I think "hate" is a strong word, and Heaven knows I don't advocate hating writers, that subset of comments made me think a lot about what I believe they're really saying, and about what happens between writer and reader. As writers, we ask readers to make an emotional investment. And when they do, sometimes they get hurt, because the story doesn't always turn out the way they would have wished. The underlying message of so many of those comments was, Why did you hurt the character I loved so much? Why did that character not get the nice ending I thought he deserved? Why did you make me cry, Author? Why did you make me feel sad? I'm a reader as well as a writer, and I know where those readers are coming from. My two favorite characters got killed, quite brutally, in Lord of the Flies. I have a prize-winning record of choosing the loser in love triangles. The ending of Zilpha Keatley Snyder's Below the Root trilogy devastated me. I still cannot read the end of Charlotte's Web without choking up. And we will not even speak of Old Yeller. Sometimes I read certain books with my breath held, thinking, "Please don't kill that character." But I'm a writer. And one of the things writers are taught to do--taught because, you see, it often doesn't come naturally--is hurt their characters. Without pain, there is nothing at stake. Without conflict, there is no story. And every character cannot get a happy ending for a few reasons: it doesn't happen that way in real life; and if the main character always triumphed, there would be no suspense to any story, because they would all end the same way. And finally, most importantly, the bottom line for a writer is to serve the story, to convey a theme. If a character has to die to fit that theme, then that character has to die. I attended a panel discussion today that was part of the Breathless Reads tour, and Beth Revis warned the audience that none of her characters are safe. In other words, she will sacrifice any character for the good of the story. Certain stories are more powerful when you like the character who's going to get the short end of the stick, when you see the attractiveness of the villain, when you care about whatever is lost in the story. And that is why a writer may work to form an attachment between the reader and the doomed character. Plus, you want to know a secret? Sometimes the writer cries about killing off that character, too. Today's recommended reading is at the blog of Megan Crewe. As part of Megan's series on "The Ways We Struggle," Deva Fagan guest posted about letting numbers define us. There are many numbers writers can use as surrogates for our worth as human beings: Advance money. Sales figures. Book ratings. We can't help but focus on these numbers even when we know they are not really the ratings of our very souls. Hop on over to Megan's site to see how Mikhail Baryshnikov helped Deva with her struggle! One reason I'm glad I didn't publish a book when I was a little younger is that I used to get much more caught up in the anxiety around such external measures. Which isn't to say that other people can't handle success at a younger age; I know of several young novelists who are handling publication with great poise. And which isn't to say that I am serenely sitting under the Bodhi tree just oozing enlightenment and the joys of detachment. I only mean that even though I check my Bookscan numbers, I don't live or die by them, and I'm generally happier when focusing on the quality of my writing. 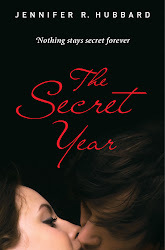 As long as I'm including links, I'll also mention two of my interviews that posted this week: an interview at iLive, iLaugh, iLove Books in which I divulge backstage secrets on how Colt in The Secret Year got his name; and an interview at I Am a Reader, Not a Writer (including a giveaway of Try Not to Breathe) that discusses, among other things, how the REM song "Try Not to Breathe" does (and doesn't) relate to my book. Pounding away at keyboard. Writing one draft. Instantly selling a manuscript and having it come out a couple of weeks later. Going to cocktail parties and TV interviews to promote it. Fighting with the cat over who gets "the good chair." Wondering why, for quarterly taxes, the quarters are not divided evenly. Sending a whiny email to a fellow writer. Checking email. Checking Twitter. Checking Goodreads to see if that giveaway posted. Updating calendar. Wondering if you should do anything about the fact that your typing has just about worn the letter "V" off your keyboard. Marveling because you didn't think you used the letter "V" all that much. Sometimes, you stare at the wall for an hour and come up with one sentence. Sometimes, it's even a good sentence. Self: All right, I'm going to let go of that anxiety. I can't control that event anyway. Self: But if you stop worrying about it, how will you handle it if things go wrong? You have to be prepared! Self: I am prepared. I know what I will do if things go wrong. Self: But if you just go merrily living your life, this thing can come out of nowhere and blindside you. Misfortune loves to do that. It waits until you're all happy and looking in the other direction, and then--pow! Self: Wait a minute. You think that if you sit here worrying about this thing and focusing on it, you can control how it goes, don't you? Self: I also believe that if I stop concentrating for a minute on keeping aloft a plane in which I am a passenger, it will crash. Or at least hit bad turbulence. The kind where the plane falls a thousand feet in a couple of seconds and your stomach tries to jump out through the top of your skull? One aspect of worry is this illusion that we can control things. And in the writing world, there's plenty to worry about. There are the craft issues (Will I ever finish this thing? Does it work? Will anyone else care?) and the market issues (Will someone else write the same idea, only better and sooner? Will this find an agent/editor/readership? Will it sell?) and the career issues (Will anyone read my next book? How many different kinds of tax forms are there, anyway? Will I earn out? Can I get those rights back?). Worrying is sometimes like bargaining: If I put myself through this pain and anxiety, I will have paid my dues, and the way will be clear for good things to come. It can be weirdly comforting and familiar; it can be scary to let go of. One of the most effective tools I've ever found for dropping worry is chasing it away with a laugh. (Hm, now I feel like I should close with a joke.) Do you have a good strategy for letting go of worry? I thoroughly enjoyed the readings: mystery from Kate Ellison (The Butterfly Clues), dramatic humor (with an ostrich) from Maryrose Wood (The Incorrigible Children of Ashton Place: The Unseen Guest), humor and romance from Madeleine George (The Difference Between You and Me), a soldier's struggle from Peter Lerangis (Somebody Please Tell Me Who I Am, written with Harry Mazer), humor and delusions of grandeur from Barnabas Miller (Rock God: The Legend of BJ Levine), and a peek inside an obsessive character from Carley Moore (The Stalker Chronicles). Q (from a soon-to-be-published author): What can an author do to promote her book? Actual, thoughtful answer given by panel: Do everything you can to get your name out there (signings, social networking, etc. ), but accept that results are not guaranteed. Flip, unhelpful answer I've thought up since: Be a celebrity to begin with. Like, if your name is Oprah Winfrey or Brad Pitt? That would be a very good start. Q: So many of you on tonight's panel have contemporary realistic books. Does this signal a resurgence in contemporary YA lit? Answer I wish I had given: YES! This is the hot new trend. Tell all your friends. But in all seriousness, the evening reminded me what fun it is just to hang out in a room of readers and writers who share a common taste in books. So I encourage you to go to author and book events--not even necessarily my events, though I'd certainly be glad to see you! The other night, I got to see Kate Ellison's amazing hand-made earrings and hear some great new writing and share some laughs with other readers and writers. And we all enjoyed the able emceeing of Barry Lyga, who will be reading from his own work in an upcoming session at the NY Public Library this spring (Jefferson Market branch). Hope to see you ... somewhere. E Shakespear posted about seizing the day: "I need to look at my time and choose the best uses for it. I've been afraid to throw myself completely into this role. ... It's been easier to hide in a limbo world where I tell myself that I'm working on the book. ... I'm still working on it and it's a safe place to be. But I'm also not finishing the book and learning how to make it better. Years have gone by and I'm still just working on it." And I flashed instantly to a pair of posts over on Wastepaper Prose (here and here) where S.F. Robertson asked several authors what they would change about their writing journey, if they could. The most common answer? I wish I had started earlier. Over and over, these writers said they wished they had let go of the fear, or made more time, or given themselves permission, sooner than they did. Now, it's possible that we just don't start things until we're ready. Maybe it takes time for us to be ready. But there's an old song that has a line about how sometimes we live in chains without realizing that we already hold the key (Eagles, "Already Gone"). Sometimes we find ourselves waiting for permission when we don't need permission. Life passes more quickly than we expect. And it seems to accelerate as we get older. So if there's something we've always wanted to do, it's okay to stop waiting and start doing ... now. "According to Steven Pressfield in The War of Art, my best preparation for a writing career was having a string of really crappy jobs to put myself through school. Why? It's essential to learn to do what it takes to get to a larger goal." "But if you want writing to be your job, you can’t really just wait around for those rare and sparkling moments." "It’s okay if you don’t feel inspired to write. If you want to be a writer, just write anyway. It will work out." "Remember, the first day back is just about getting back into it. It's not going to be your best day. It might not be fun. But you did it." What these posts share is an acknowledgment of the work side of writing, the sheer perseverance necessary to get us through page after page, through all the setbacks and detours. The common message is: Show up. Even if your muse is sacked out elsewhere, snoring away, show up. Put something down on the page. It doesn't matter if it isn't great--you can fix it later. I have to say, my worst day writing still beats my best day at my high-school-era job. Writing is fun, but it's also work. I don't sit down at my computer and have golden-winged faeries deliver my words gift-wrapped in glitter paper. It's true that writing is more like digging words out of the earth: it's uncertain, sweaty work, and the words need a lot of polishing before they're fit to be seen. I've heard it said that the real test of writing is reading it aloud, that writing (especially poetry) is meant to be read aloud, and that reading aloud is a good step during revision. And while I agree that sound can be an important part of the words we choose, I'm finally admitting that I don't fully agree with these oft-repeated pronouncements. Writing may have evolved from oral story-telling traditions, but at the moment, the way most of us interact with text is by viewing it on a page or a screen. There is something about that silence, about the shape of the letters, about the white space, that is special to the visual sense. There are forms of wordplay involving words that sound alike but are spelled differently, which only work when you see them instead of hear them. And for all that poetry is said to be an oral form, concrete poetry and acrostics make the most sense when viewed. As a reader, I also like being able to go at my own pace, to stop and think about certain sentences, to reread a line. I like being able to choose the inflections and decide how a character's voice sounds. This is all more difficult to do when listening to someone else read a text aloud. I won't argue that picture books, plays, and screenplays are meant to be read aloud. And I won't argue that reading aloud any piece of writing can bring something extra to the table (an example that springs instantly to mind: David Sedaris reading his own essays). But I think visual silent reading is its own experience and no less valuable, and that some writing can actually cater to that experience. I've been thinking about all this as I prepare to give a reading at the New York Public Library this week. I've decided on a scene with dialogue in it, because when I practiced the two scenes I was considering, this one just seemed a better choice for reading to an audience. (The other one I was considering was quieter, more descriptive.) It's like my experience as a concertgoer: for listening to something alone in my room, I may like a quiet, dark, or slow piece of music, but if I'm out there in a room full of people, I want something louder, faster, more upbeat. Publishing is a rough roller-coaster of a business. The external rewards are uncertain and capricious, and the best rewards are internal: the joy of writing a sentence that sings, for example. But every now and then, we get those rare days when everything comes together, outward and inward success. Days of celebration. Thanks to the wonderful staff at Children's Book World, and the friends and readers who showed up or ordered books by phone, today was such a day. Try Not to Breathe was officially welcomed to the shelves, complete with an enthusiastic crowd and a cake with the book cover on it. This is my second published novel and the twenty-somethingth piece of writing I've published, but that thrill never gets old. I never take this for granted or get blase about seeing my book in a store. Even more special to me is the fact that this book is about recovery from a suicide attempt. It's about putting one's life back together, about finding hope. May your own dreams come true. And thanks for sharing this journey with me. I've noticed that unhappiness often springs from the difference between what we have and what we think we are "supposed" to have. In recent years, I've gotten better at letting go of those expectations, especially when they're externally driven. If a dream is truly something we want, if it's internally driven, that's one thing ... but the other kind, the ones other people tell me I "should" want or "have to" have, are just so much useless baggage. And it's hard to fly when you're weighed down with baggage. I am never going to care all that much about clothes and hair and makeup. It's a relief to admit that. I can admire other people who really know how to put together an outfit, but that isn't where I'm going to put my own energy. I'm "supposed" to want my own car, this being the automobile-centric US ... but my husband and I are the only single-car family on our block, and mostly I take the train and leave driving to him. I think dandelions are beautiful. I like cheesy '70s pop songs. My maternal "biological clock" never kicked in. I don't drink alcohol or coffee. All these are things I used to feel weird about, as if I should apologize for being atypical. But the nice thing about getting older is that you no longer give a rat's kneecap about having different customs and preferences from those around you. Yet the "shoulds" are insidious, and most writers know them. Your book should have more romance in it ... you should've gotten that award ... you should brand yourself ... you should write something more mainstream ... you should be writing one book a year ... you should be writing two books a year ... Here, too, we can cast off the expectations dictated by others. We can work toward what we truly want, and let go of the goals that represent only someone else's idea of what we should want. Shaun David Hutchinson, author of The Deathday Letter, launched an online book project today. At thedarkdays.com, he's doing a serial novel project, posting regular installments, which he describes as being like a TV show in that "once it’s out there, it’s out there. So if a character in an episode of your favorite TV show does or says something, the writers of the show have to honor that. Instead of being able to delete any inconsistencies or mistakes, writing this way will force me to work through any issues." I'm the guest poster at Writers Read, talking about the books I've been reading, whose voice would not interfere with my own work in progress. Among the books discussed: Babbitt, The Dharma Bums, and Wendy and the Lost Boys. On Wednesday, February 8, from 6 - 7:30 PM, I'll be part of a Teen Author Reading Night at the Jefferson Market Branch of the NY Public Library, corner of 6th Ave and 10th St. I'm excited to appear with Kate Ellison, Madeleine George, Peter Lerangis, Barnabus Miller, Carley Moore, and Maryrose Wood, on a panel hosted by Barry Lyga. If you're in NYC then and you're a YA fan, come check it out.